RTI reporting became compulsory for most employers on 5 April 2013; some big employers joined the regime in April 2012. A Full Payment Submission (FPS) is made on or before an employee is paid. This provides details of the employee, their pay and deductions. Employers and pension providers must submit an FPS 'on or before' they make a payment to an employee or pensioner. If they still have information to send after 5 April, they can send this on an FPS until 19 April, then on an Earlier Year Update (EYU) after that. New employers are allowed up to 30 days to file their first FPS. Employee forms P60 and P11D employers must still provide employees with a P60 end of year summary by 31 May following the tax year and a P11D by 6 July following the tax year. HMRC provides very basic free software which can be used for up to ten employees. Most employers find it simpler to purchase their own RTI-enabled payroll software to generate their returns. Planning point: HMRC "accredits" software for RTI, however as not all software has always been capable of making Earlier Year Updates it is advisable to check the limitations before purchase. 2016/17 onwards and 2015/16 - see table below for concessions. 2014/15 late filing penalties were phased in from the following dates for in-year returns. 2013/14 penalties may apply to in-year returns and the final FPS. 2012/13 penalties may be charged after the end of the tax year, based on the final FPS for the year. Penalties under Sch 56 FA 2009 apply to employer payments of PAYE and NI whether paid monthly or quarterly. Since April 2015 HMRC has appled automatic in-year penalties, subject to a tolerance of £100 (difference between employer's payment and what has been reported to HMRC). As calculation is automatic and based on the number of late payments the automatic system will adjust later penalties rather than recalculating the earlier months already passed, as under the current Sch 56 FA 2009 regime. Relaxation in reporting for micro employers until April 2016. All employers may be up to 3 days late in filing returns without penalty until April 2016. New penalty regime starts on 6 Oct 2014 for employers with 50+ employees. deadline by 19 May 2014, however employers are unable to submit electronically using their own softward after 19 April. Penalties apply under the existing rules in Sch 56 FA 2009. Automatic in-year penalties apply from April 2015. Under RTI the employer files a FPS for the last payment of the tax year and there is no P35 or P14 to submit to HMRC. If the employer fails to report the end of year FPS there will be an end of year penalty. This should be notified by September following the tax year. Penalties under schedule 24 FA 2007 (errors and mistakes in tax returns) apply to returns filed from 2013/14. Late payment of PAYE penalties under schedule 56 FA 2009 continue to apply unchanged in RTI reporting. Concession for personal service companies making a deemed employment payment under IR35, see IR35 reporting concession. 6 October 2014 for employers with 50 + employees in a PAYE scheme. 6 April 2016 for employers with fewer than 10 employees who use relaxed reporting requirement. In all cases the first late submission of the year is ignored unless the employer is registered with HMRC as an annual scheme. Late filing applies to FPS and EPS reporting. An EPA return is still required by the 19th of each month if there is no pay to report in a period. Anyone who has suffered a late filing penalty since 6 October 2014 and was 3 days late or less may appeal their penalty on the grounds that it was "not more than three days late". This measure was originally only to apply until April 2016. It was extended to April 2018 in September 2017 and to April 2019 in June 2018. Employers who persistently file after the payment date but within 3 days may be contacted or considered for a penalty. A temporary relaxation of reporting arrangements for micro employers (nine or fewer employees). Existing but not new employers may report PAYE information on or before the last payday in the month until 5 April 2016. This measure has been agreed presumably to allow those who run payrolls to go away for more than a week on holiday! No late filing penalties until 5 March 2015 under new phased penalty provisions. A temporary relaxation of reporting arrangements for micro employers (nine or fewer employees). HMRC announced in August 2014 that existing employers with nine or fewer employees, who needed more time to adapt, could report PAYE information on or before the last payday in the month until April 2016. This means that micro employers who were still finding it difficult to report PAYE information on or before the date they paid their employees would have more time to adapt their arrangements so that their business was ready for full real time reporting from April 2016. Existing employers with fewer than 10 employees, who take advantage of the temporary reporting relaxation, must remember to use late reporting code ‘E’. This arrangement does not apply to employees who commenced payrolls on or after 6 April 2014, however they were covered by the late filing exemption for small employers which runs until 5 March 2015. See RTI HMRC has allowed you to report monthly. For example: Alpha Ltd is a micro employer who calculates pay and pays its employees on a weekly basis. They pass their records to a payroll agent to run the payroll on the last pay date of the tax month. Alpha Ltd pays their employees on 10th April, 17th April, 24th April & 1st May. Under the relation agreement Alpha Ltd need not reports the payments weekly, instead they may be reported as if they had been made on the 4th May (the last payroll of the tax month plus 3 days grace). 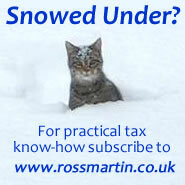 Send by the 19th of the tax month after your original FPS for HMRC to show the correction in that month’s PAYE bill. to put the reason for reporting after payday on your FPS. If HMRC disagrees or you don’t send an FPS, they may send you a late filing notice. You’ll only get one for the first late FPS you send each month. If an FPS is submitted late the employer should complete a ‘Late reporting reason’ field in their payroll submission (your software should provide you with the different choices) as per this table. Additionally there is a penalty of 5% of tax and NIC which should have been reported if you are more than 3 months late. The size of the penalty based on the number of employees in the scheme. Filing defaults will apply each month and will depend on returns not being received. There will be one unpenalised default each year, with all subsequent defaults attracting a penalty. Penalties will be charged quarterly, subject to the usual reasonable excuse and appeal provisions. An additional tax-geared penalty may be applied if a return is outstanding for three months or more. Regulations will be used to set the penalty rates, including any escalation in size for subsequent defaults. Penalties are per scheme; employers with more than one scheme can be charged penalties for each. The main changes aim to ensure penalties are based on the number of late payments relating to each tax year. Penalites will be "ring-fenced" so that if further defaults arise earlier penalties do not have to be recalculated. Changes will also permit a penalty to be amended once it has been issued, rather than it having to be withdrawn and reissued. The Government may use regulations to apply a relief from late payment penalties if the sums paid by the employer do not exactly match the figures shown as deducted on the RTI returns for the relevant period. Legislation will amend the inaccuracy penalties. The assessment provision will be amended to allow a tax year to be treated as a tax period for the purposes of Schedule 24 to Finance Act 2007. This change will reduce the number of separate penalty assessments that have to be issued where errors are found. Penalties are due within 30 days of the penalty notice. From April 2014 HMRC will charge interest on any payments, including penalties, not made by the due date. For 2013/14 interest was only charged if payment for the last month was not paid by the due date. Employers are strongly not advised to trust that advice, because experience of the Schedule 56 penalty regime has shown that HMRC will charge a penalty unless a late payment agreement is in place before the payment is due. HMRC says that it will notify employers who may have defaulted on either a filing or payment obligation "as soon as possible" to enable them to get back to compliance quickly and avoid any further penalties for future failures. Note that if an employer is making a persistent mistake in the in-year RTI return so each one is incorrect this could result in HMRC sending a separate penalty notice for each mistake; that is a lot of paperwork and administration. An employer may appeal against RTI penalties, subject to a 30 day time limit. Appeal may be online from January 2015 or on paper. Details of how to appeal are attached to penalty notices. You cannot appeal a general notification (GNS) message. However if you appeal online HMRC will inform you by GNS as to whether your appeal is successful.